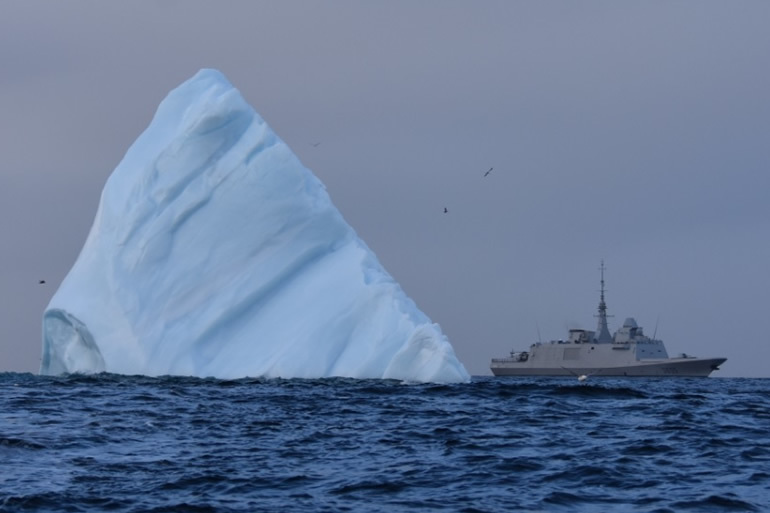 FREMM Bretagne during NATO exercise Trident Juncture in the North Atlantic. 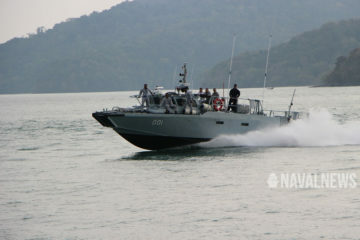 French Navy picture. 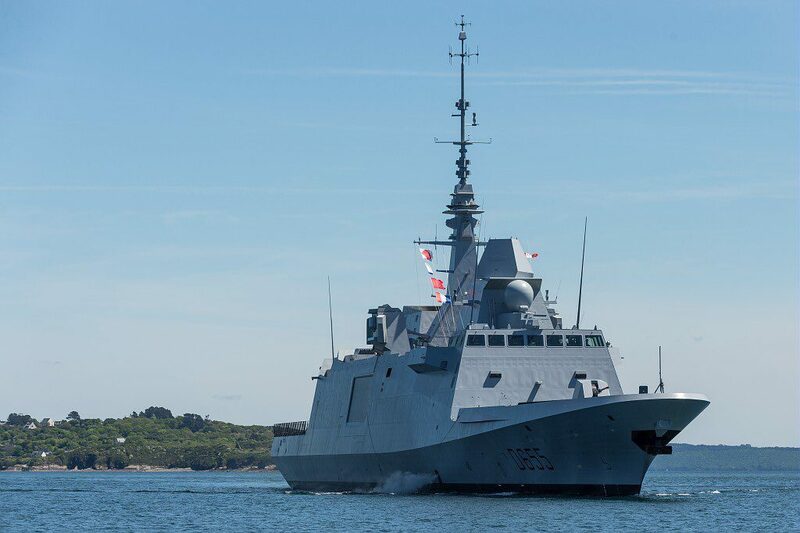 The French Navy (Marine Nationale) announced that the multi-mission frigate (FREMM) Bretagne entered "active service" and is now able to conduct operational missions. "Bretagne" is the fifth of six anti-submarine warfare FREMM frigates ordered from Naval Group by the French Navy. 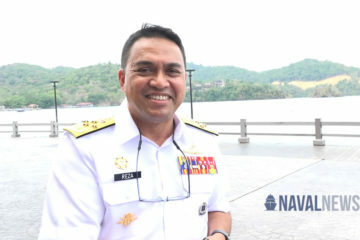 Two more FREMM frigates with enhanced anti-air warfare capabilities will follow the first six ones configured for anti-submarine warfare (ASW). But Bretagne will actually be the first French Navy FREMM to deploy longer range surface to air missiles (ASTER 30 by MBDA). Built at Naval Group shipyard in Lorient, Bretagne was launched in September 2016 and was delivered to the French Navy on July 18 2018. On August 30 2018, Bretagne left Brest naval base to begin its Long Term Deployment. This was the first mission which is used to test the vessel in extreme conditions and over several months in order to confront it to its future missions. During this deployment, Bretagne participated in many exercises with the allied navies. 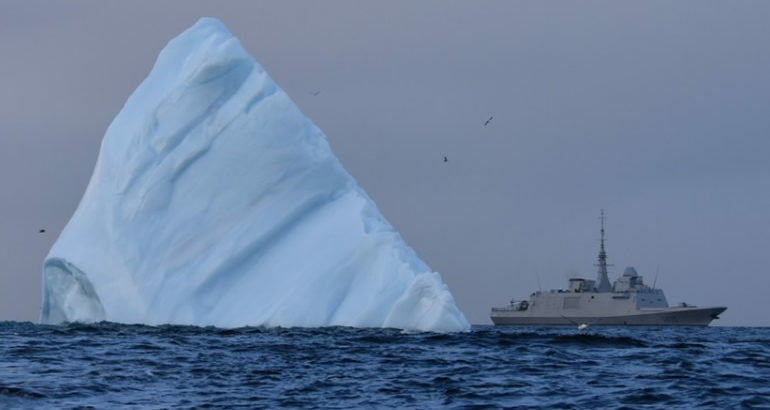 For example the Frigate took part to an ASW exercises off the United States or participated in the NATO exercise Trident Juncture off the coast of Norway. FREMM Bretagne during an ASW exercise with the U.S. Navy. 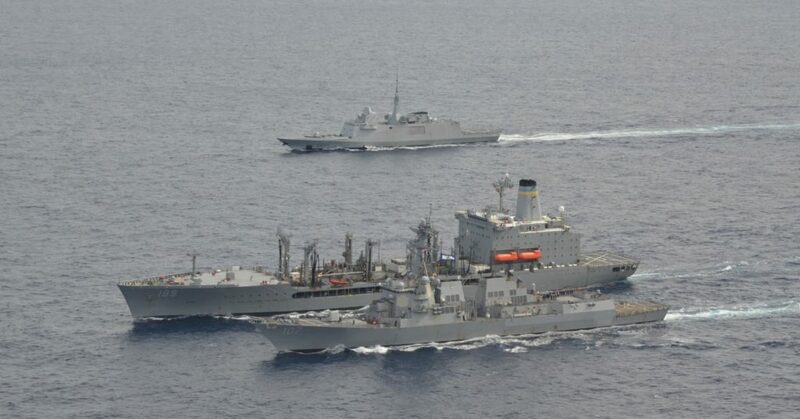 French Navy picture. Following three months of navigation in the North Atlantic, Bretagne returned to her base in Brest at the end of 2018. Now in active service, she joins the surface fleet of the French Navy and is preparing to take full part in operations. In 2030, the French Navy will have fifteen first-line frigates including 8 FREMM, 2 air defense destroyers (Horizon-class) and 5 new generation FDI (Defense and Intervention Frigates). FREMM Bretagne is the fifth in a series of eight, after Aquitaine, Provence, Languedoc and Auvergne. It will be followed between 2019 and 2023 by Normandy, Alsace and Lorraine. The last two FREMMs will have enhanced air defense capabilities (FREMM DA).